Orienteering is a geographically navigated routing course that combines water and land. Persons who participate in this sport are great outdoors lovers and are able to withstand the rigors of what the sport entails. The challenge is to try and complete the route as quickly and safely as possible. There is no mandatory way to complete the course, as some persons have a system that works for them. The main thing is to complete the course while marking their designated points with the electronic marker on their card, whenever they reach to these points. 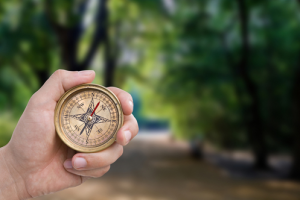 Orienteering began in Sweden as military training in 1886. The concept was for military personnel to be able to navigate unknown territory by using a map and compass. There were marked points on the route that were mandatory for them to mark as having reached in order to be able to complete the course. As a sport, the Swedish military had their first competition in 1893 at the Stockholm garrison. Major Ernst Killander in 1918 organized the first major Orienteering meet and he was instrumental in fine-tuning the rules and regulations of the sport. In 1950’s England, orienteering was introduced and was greatly supported by many Olympians of the time which included John Disley and Chris Brasher. The organization and development of the sport were aided by Swedish Orienteers and was further enhanced in 1962 by Baron “Rak” Lagerfeld from the Stockholm Orienteering Club when he visited Scotland. Jan Kjellstrom, son of the manufacturer of the Silva Compass, was also instrumental in the development of orienteering. He fine-tuned the sport in areas of mapping, and coaching to enhance the level of competition. He died 1967 from a major road accident, and in that same year, the British Orienteering Federation was created with the merger of the British and Scottish Associations. Age is not an issue, and if you are not fit this is not a problem. Your desire to challenge you as well as being outdoors is what is important. 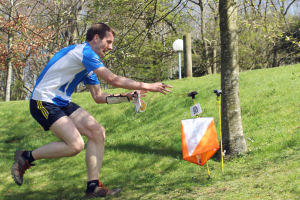 There is a Find an Event page on the British Orienteering site that is very detailed. It is to facilitate persons who need to find the route that is specifically suited for them based on the relevant difficulty. There are over 60 detailed rules that are covered in the Rule Book as well as the description and competing regulations. 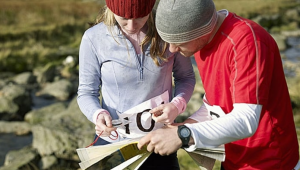 These rules are adhered to and sanctioned by the International Orienteering Federation. Orienteering may be enjoyed by many persons of any age. It is for persons who enjoy running and walking and like to challenge themselves to see how well and how quickly they are able to complete the plotted course while getting their needed fix of their leisure activity or exercise routine.